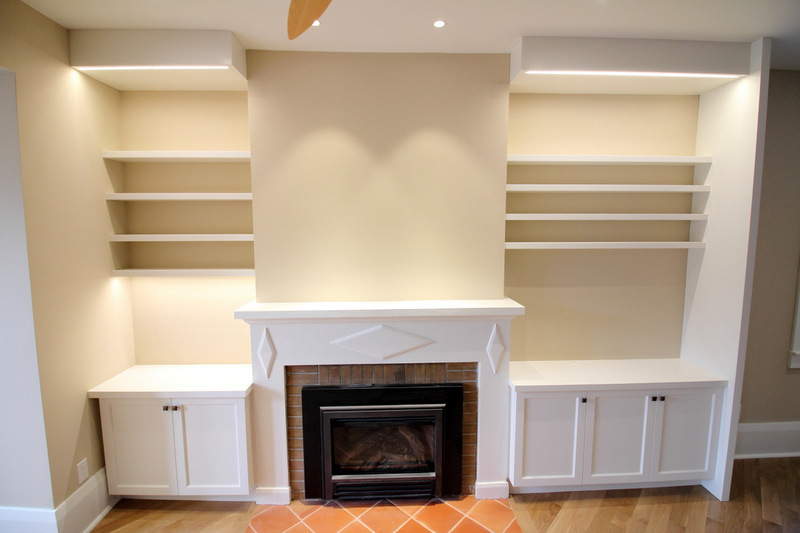 This series of upper and lower fireplace and surrounding area shelving units were made for a client’s new reno. 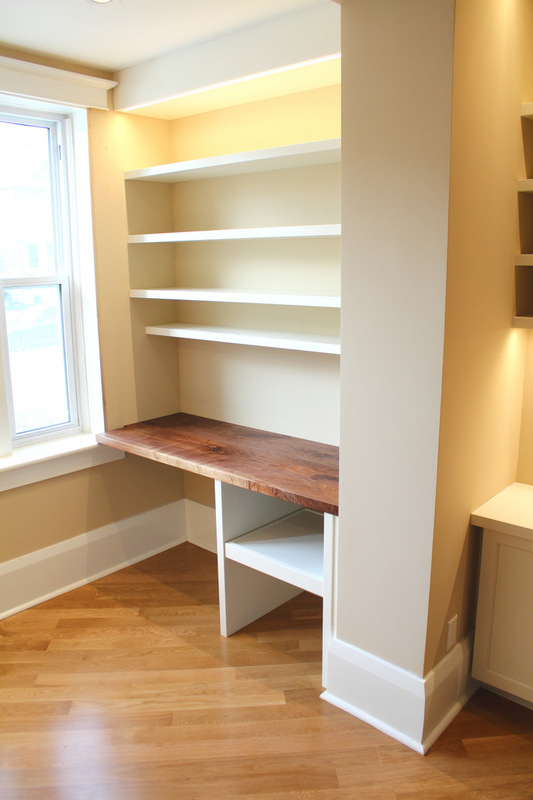 We used veneer core plywood and treated the edges with solid maple. 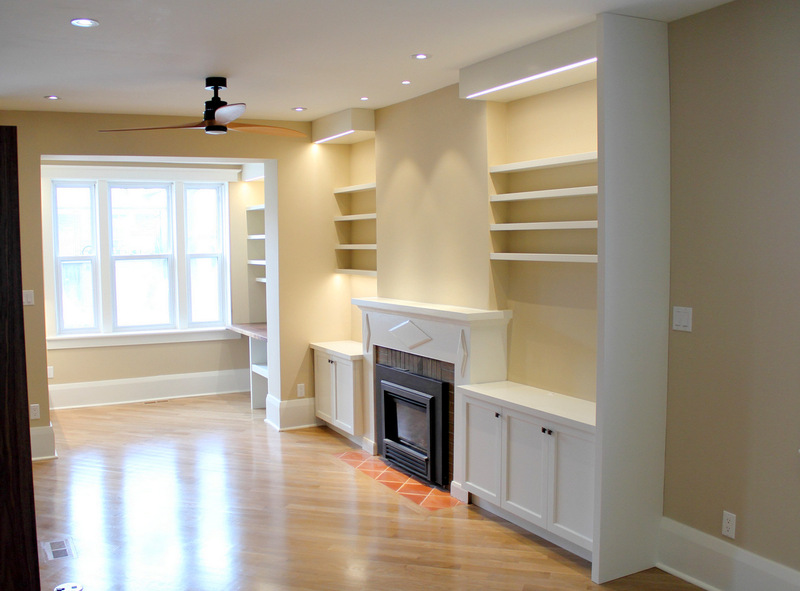 We avoid MDF because it is just not durable. 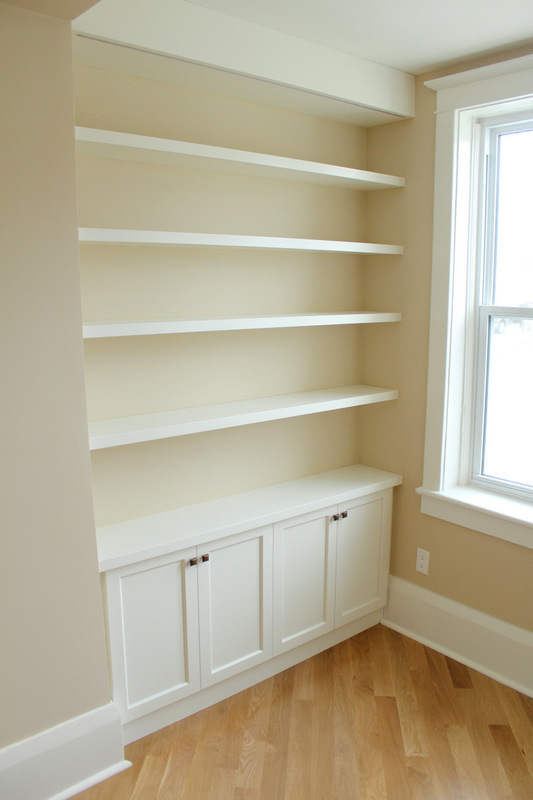 Nothing paints as easily as MDF when spraying lacquer, but it is not suitable for high use millwork. It is a very weak material structurally and the corners chip easily with impact. 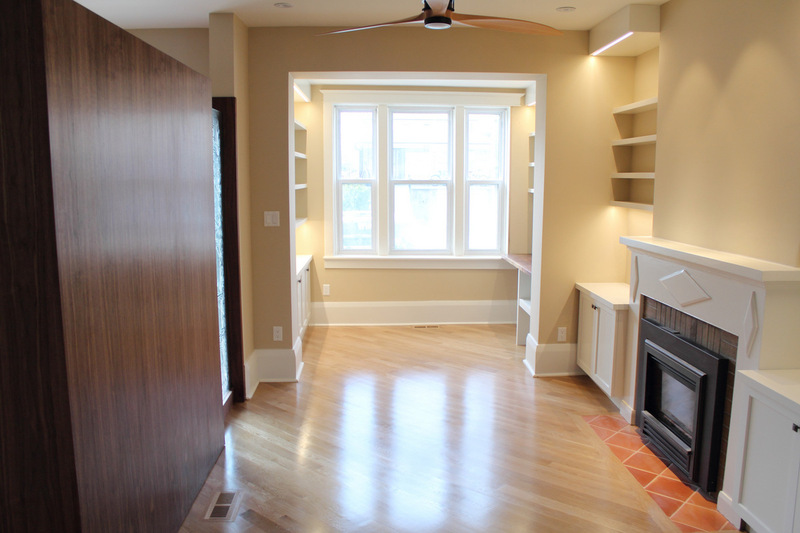 Whether painted or stained, we use either solid wood or a combination of domestic veneer core plywood with solid wood edges, hand planed perfectly flush with the veneer and sanded for finishing. 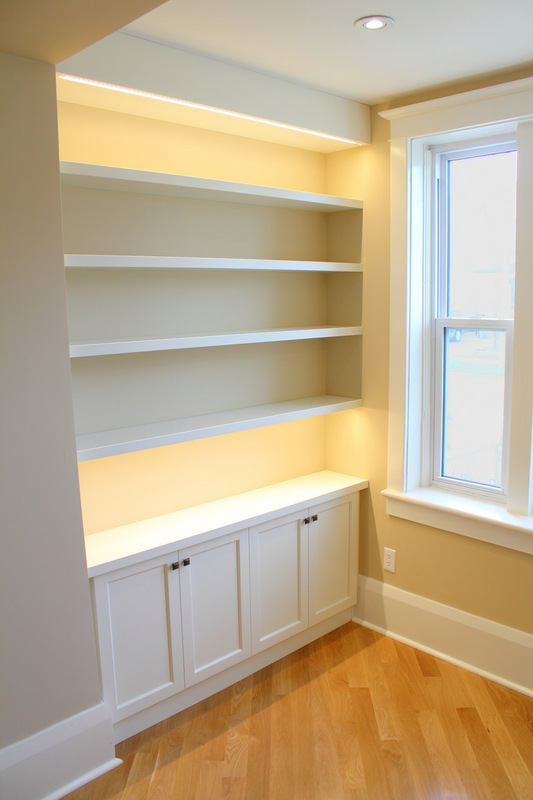 Our millwork lacquer finishes are low VOC and waterborne.